The Hof Prädikow site has been mentioned for the first time in the 14th century. The relicts of the old castle are still visible in the cellar of the manor house. After centuries of aristocratic ownership the Hof Prädikow site was converted within the land reform of 1946 to a state-owned property. The entire estate of about 9.5 ha was still used for agricultural purposes within the German Democatric Republic times. After the German reunification in the 1990s the Hof Prädikow site was used by a series of tenants, but became more and more an abandoned complex. 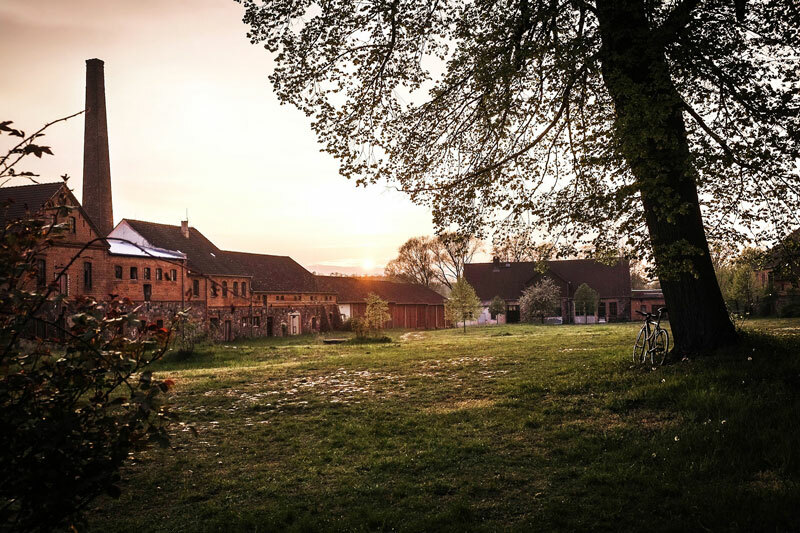 About 20 years later some young Berlin citizens discovered the site and began to develop first ideas and concepts for revitalizing Hof Prädikow. In 2016 trias foundation purchased the site and concluded a building lease contract with the Mietergenossenschaft Selbstbau e. G. In January 2017. Today, a group of 24 adults and 12 kids organises the activities on the manor and the development of the site. Several work groups have been formed. Public tours and a great number of activities are provided. The group also expedites the communal housing project and the development of the site. Experimenting with new business models to establish a new coexistence between rural and urban areas, but also for new living and working environments. To achieve a growing community-driven usage of the buildings and the area a long term building lease has be applied. In addition to a long-term planning reliability, the project group achieves great freedom to develop the buildings and the site depending on their needs. New financial instruments for merging living and working in rural areas. New concepts for developing innovative new connections between the rural area of Prädikow and urban Berlin. The most important action will be the acquisition of further companions and supporters. A crowdfunding campaign will be established to support the financial effort. A crowdsourcing campaign will be established about the heritage assets, and their relation to the development of Berlin. A community development campaign will be carried out with a very broad stakeholder involvement to determine the common aims and possible synergies. Individual projects will be consulted in financing their long-term building measures. The question of decontamination will be addressed. Cultural: Despite the rural area of Hof Prädikow site a new relationship between urban Berlin and its surrounding areas are developing. Environmental: As a result of the usage of fossil fuels, there are several contaminations on the site. Beside a gas station is a brown coal fired heating plant that has to be removed. New and state of the art supply systems for heating and electricity have to be installed. Because of the strong connections to Berlin, new concepts for sustainable and reliable mobility need to be developed. Economic: The Hof Prädikow site provides a enormous potential for future utilization. In addition to the housing project new concepts for merging living and labor are desired to reduce commuter traffic. Valorization of the heritage value: The existing listed ensemble needs to be secured against further deterioration and a careful renovation, in accordance to the future uses and regulations for heritage-protected buildings.